Sometimes the idea of cooking seafood can be daunting. 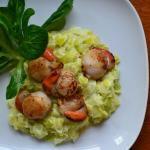 With a little help from our good friend and equally wonderful chef David this recipe for seared scallops looks easy. You too can easily prepare and enjoy this traditional French classic of St Jacques on a creamy base of curried leeks. 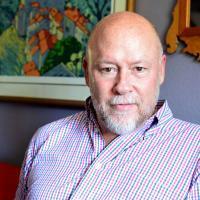 Of course, shopping for the ingredients in Paris might add a bit more “spice” to the meal…read his full article here. In a large saucepan, blanch the sliced leeks in salted boiling water for 1 minute; drain well. Melt 3 tbsp of the butter in the same saucepan over medium heat and add the leeks. Cook the leeks in the butter for 15-20 minutes, until they are very soft and beginning to break down. Add the clementine zest and curry powder, and cook a couple minutes longer to meld the flavors. Blend in the crème fraîche and remove from the heat. In a large skillet, melt the remaining butter over medium-high heat. When the butter is hot, add the scallops and sear - about two minutes each side. 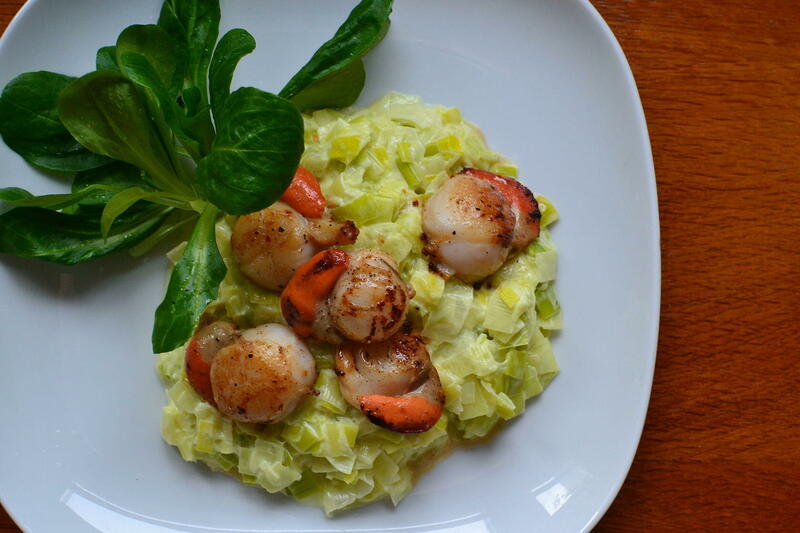 While the scallops are cooking, reheat the creamy leeks. 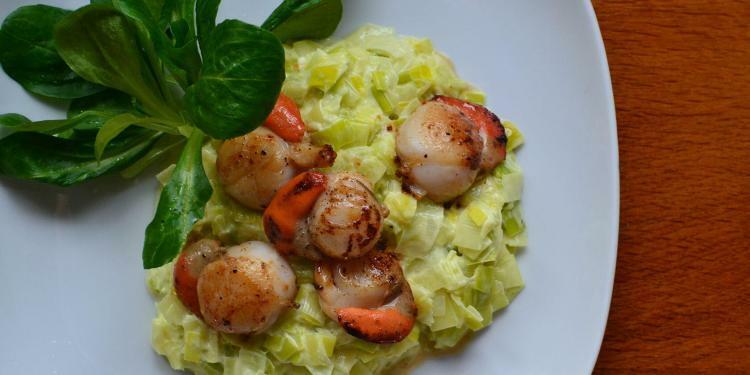 Divide the leeks between two dinner plates, top with the scallops, and serve with a lightly dressed green salad.